The ancient Elfs, now proud and godlike in their revelations, formed their vast Queendoms countless thousands of years ago. At the time they were mere mortals with a deep understanding of star traveling. They let their explorers chart the entire galaxy and areas outside it, found the ancient star portals and traveled through time and space to remote places. The bold Elf’s eventually found out the gates to the “sea of the dead stars”. In the sea of the dead stars they found ancient knowledge, arcane and hidden secrets regarding star travel technology, warfare and magician wisdom. When they returned they had changed, warped into ageless beings, mighty in their spellbinding’s and magic. The teachings of these, the first explorers, gained power to the Elves and changed them. They withdrew from other races and formed the legendary and mystical star sea region called the Mistrial Circle. The mytical Elven Mistrial Circle is an old globular star cluster under the rule of the elven Queens, set in the outskirts of the Galaxy. Here, in the labyrinth of stars, supernovas and asteroids fields, the elven Queens reign and the seven houses of the arcane and eon old elf empires rules with help of their mighty fleet. The Mistrial Circle is therefore known to be tightly guarded by a fleet of heavy battleships and swift and sleek hunter-killer fighter ships. 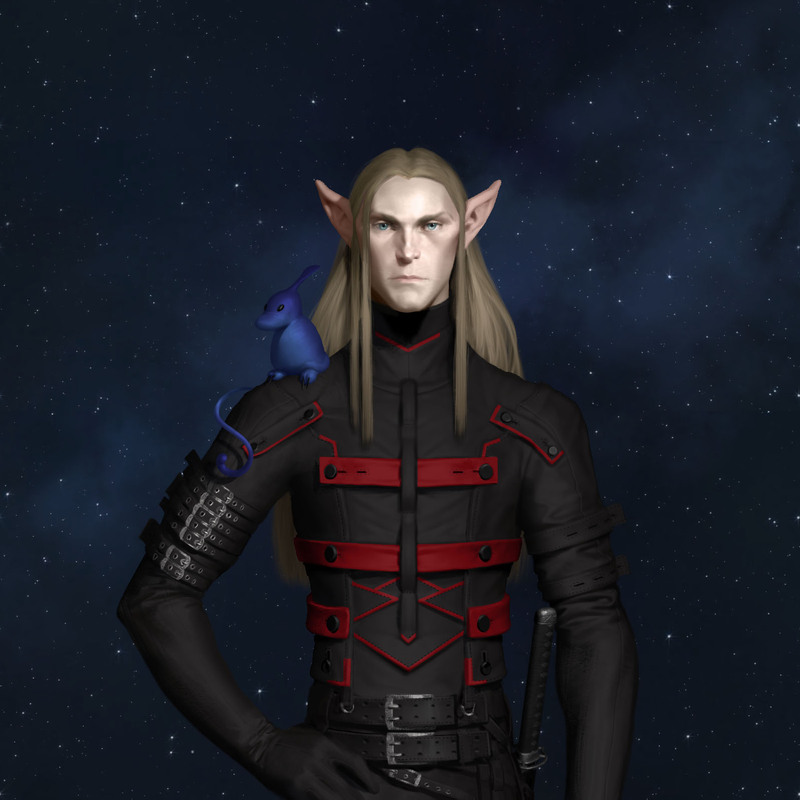 The huge planet Niduri, under the rule of House Ethalion is the heart of elven shipbuilding traditions. From these ancient wharfs the magnificent flagships of the Elven Queens takes to space.